Famed artist Andy Warhol was known for his works of pop art. So when I spotted this skirt online it reminded me of something from Warhol’s line of work. 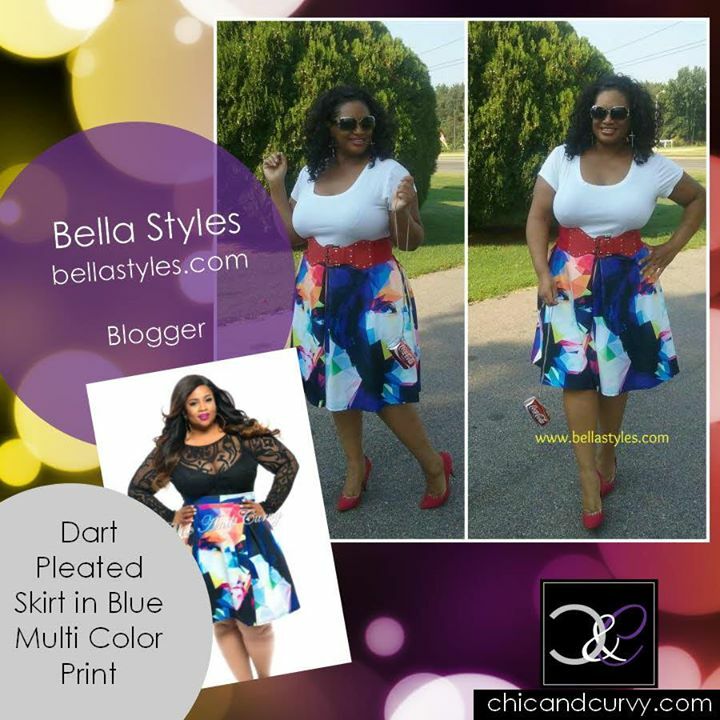 It is the multi-color print dart pleated skirt from Chic and Curvy Boutique. With these style of skirts, a simple tee goes great with and adding a wide-belt accentuates the waistline. You can never go wrong with a conversation piece handbag and website, Go Jane has you covered. I recently blogged on another statement purse from them that was similar to a Moschino version. Today I’m wearing a Coca-Cola clutch that I purchased a few years back on Ebay. But Go Jane has it in stock now for only $22.